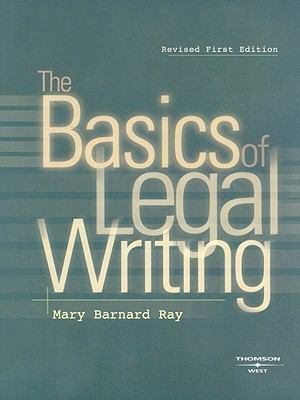 Although Ray's The Basics of Legal Writing focuses on legal research memos and briefs to trial courts, it is not limited to those topics. The text is designed to adapt to different learning styles, presenting all key information in traditional text, annotated examples, and lists or graphics. Coverage includes: Reading legal documents Using legal research tools Citing sources in legal documents Making oral presentations to senior partners and courts Writing business correspondence and email Drafting other documents This edition includes new examples while retaining the book's innovative, integrated focus and the structure that presents information adapted to varied learning styles.